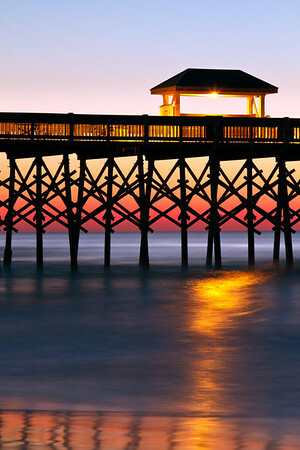 Pier at Folly Beach, Charleston, South Carolina. 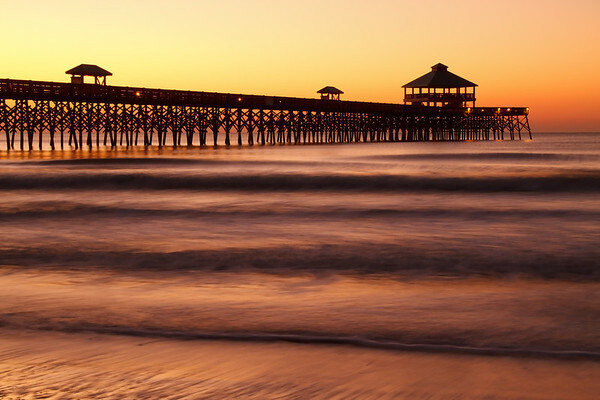 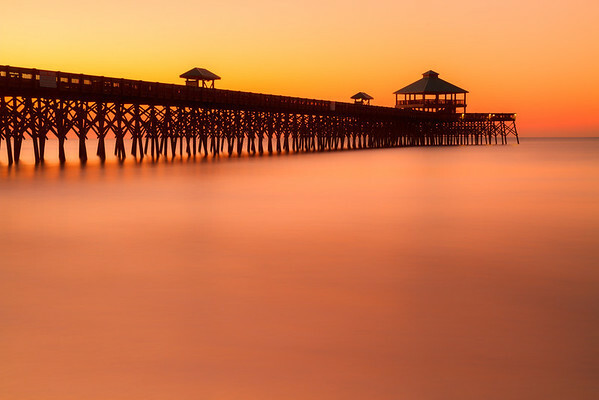 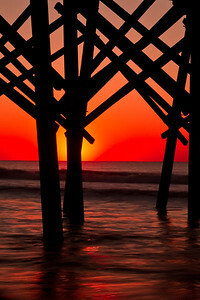 After the sun rose at Folly Beach in Charleston, South Carolina, the pilings of the pier became a silhouette. 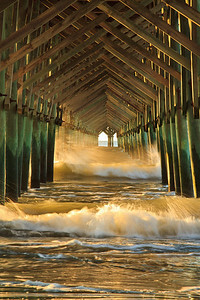 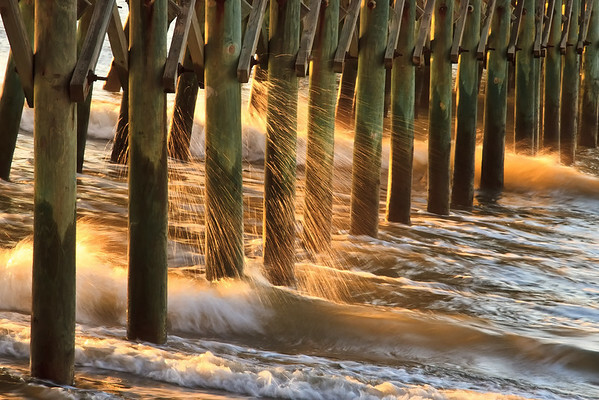 Waves rushed under the Folly Beach Pier in Charleston, South Carolina, the sunlight reflecting off the splashes. 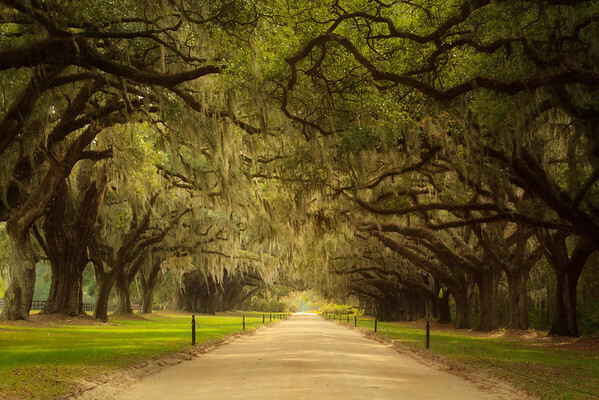 In 1743 these Live Oaks were planted as an approach to the estate at Boone Hall Planation in Charleston, South Carolina. 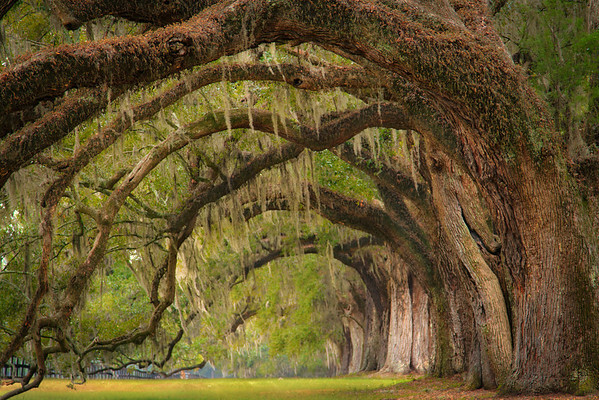 It took two centuries for the moss draped branches to meet overhead forming a corridor that made the plantation famous for its beauty.